Mobile phones have become part of our daily lives and we carry them wherever we go. So, are you ready to use them in your kitchen? Cooking is always a fun and a necessary hobby. We all need food to stay alive and sustain our lives. However, at times, it is not as much fun as it ought to be, though. To make it a fun activity, you need to venture into having some of the recipe apps. They are the next in the mobile complete takeover. Recipe applications offer a step-by-step guide on how to prepare some of the recipes you have ever yearned to learn. 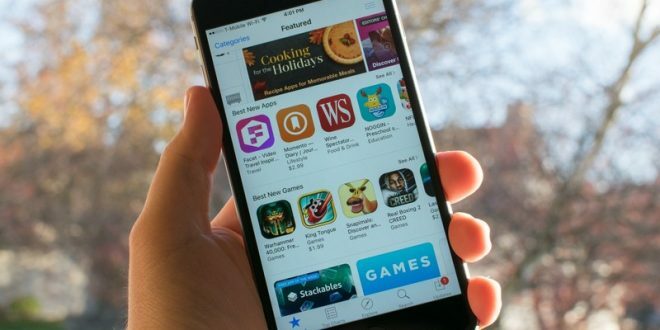 Today, the app market has tons of both freemium and premium applications running on iOS and Android. They range from executive chef apps to newbies recipe apps who are still learning to prepare simple meals or dice an onion. So, how do you decide what to cook when you are running low on inspirations? Discussed herein are the top apps that will give you some great suggestions, and insightful tips. Oh She Glows Recipe App offers the most popular and fan-favorite plant-based recipes. Besides, it has a stunning and vibrant food photography for every recipe. This app is brought to you by a New York Times bestselling author Liddon Angela. One thing is certain, this healthy recipe app will have you glowing and bursting with the best cooking inspirations. There are modern tools for example air fryers you can use for healthy food preparation. -Search for recipes with ease using different recipe title or ingredient keywords. Also, you can filter your recipe based on dietary information, dish type and many more. -Find different nutritional information from the tips section. -Add your own notes and synchronize between devices using iCloud. With Oh She Grows app, you can never get it wrong in your kitchen. With over 350,000 recipes, you will get addicted to cooking after you discover this app. It makes cooking simple. Besides, it is a meal planner, a cookbook and a grocery list. All these features you get in one app making it ideal most chefs. Besides, the social side of the application lets you peer into what the community is preparing, making it more interactive and perfect for recipe inspirations. Some of the feature highlights include the expansive library with the ability to add snapshots to your favorite recipes. Moreover, it gives you the option to have a grocery list depending on the recipes you would wish to create. With this app, you can simply type the three ingredients you have in your fridge and the app will pull up information on what you can prepare with them. To get you inspired, the app offers a seasonal collection that you can choose. From a community of more than 50 million people, you are assured of the recipes you get. From the community, you get good photos, reviews, and ratings that give this particular app more of a social feel than others do. One of the stupendous features of this app is that you have the ability to view what ingredients are on sale near you and the corresponding cheapest recipes you can make on any particular day. Likewise, the app is capable of recommending recipes whenever you walk into a store, which may come in handy whenever you want to make something special, but do not really know what it is yet. Besides all the features, this app is bundled with all the usual features, like the ability to save your favorite recipes, create a shopping list, filter your search results based on diet, cooking time and the foods that you probably do not like. Formerly known as All the cooks, the app is the best fit for people who are not yet saturated with the social media recipe buzz. Cookpad provides a virtual place for you to exchange recipes with family, friends and even strangers alike. Once you are done with preparing your food, you can upload a recipe with the picture of the already cooked food so that others can comment on it. The comments offered ranges from potential substitution for food allergies to side dishes and accompaniment that would pair well with the recipe. Besides, the recipes are sorted into different categories, while the app creates a profile for you so that you can also view what others have uploaded. Since its first release, the app has been presaged as a flagship-cooking app. The app offers more than 35,000 tested and member rated recipes with a sleek and streamlined interface. With this app, you are able to manage your shopping lists and recipes across platforms. In addition, you can perform a voice-activated command that’s specifically designed for hands-free cooking. With an inbuilt kitchen timer, you know exactly for how long you should cook your chicken, salmon and other 40 plus items. Although the editors of the app offer their own selection of recipes, it also manages to present recipes from other notable publications like the Harper Collins, Bon Appetit, and the Gourmet magazine. Sidechef free app allows you to get access to more than 4000+ food recipes and follow top rated food chefs and bloggers. The main goal of this app, however, is to make new cooks’ experience easy. Notably, each recipe comes with a step-by-step instruction. Moreover, it comes with an accompanying set of voice commands, photos, videos, and timers. As a chef, you have the leverage to adjust the serving size on the fly, which automatically converts and calculates the ingredients you need. If you see, a recipe that you would like to try out and you do not have the ingredients. You can draft a list within the app and email it to yourself for later usage. If you feel proud of your creation, then you can take photos and share them with the rest of the SideChef community. The app is available for both iOS and Android. If you are a vegan or a vegetarian who has been frustrated by other apps, then this app by professional blogger Sarah Britton is the best bet. Trading at $5, currently, the app has more than 120 recipes suited any occasion, whether it is breakfast, dinner, or snack time. 62 of the recipes are grain-free meals. They are exclusive only to My New Roots. Other insightful features of this app include the nutritional information on the ingredients you are using, an integrated shopping list designed to keep track of anything that you may require and the option to change between metric and imperial measurements.